In 1763, a branch of London's Foundling Hospital was established in Chester. It was one of several such satellite institutions set up to receive children from the London Hospital which, to fulfil the terms of its government funding, was required to admit any infant that arrived on its doorstep. The other branch Hospitals were located at Ackworth, Aylesbury, Barnet, Shrewsbury and Westerham. 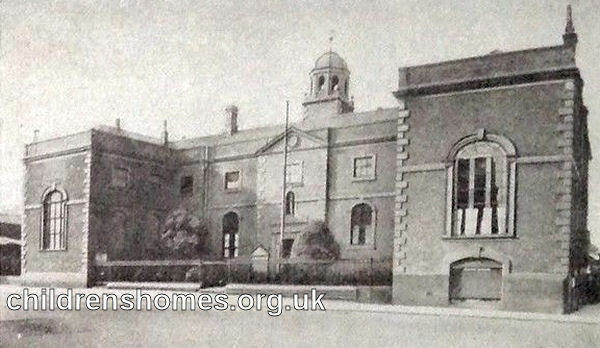 It was planned to house the Hospital in its own purpose-built premises. Initially, however, Chester Blue Coat School agreed to make a loan for the purpose of part of its building for up to three years. In March 1763, it was reported that a ward for with seventeen beds for boys, and one with fifteen beds for girls would be ready by the first week in May. The plans for a new building ultimately came to nothing. In April 1767, the Chester Hospital's committee was authorized to fit up a room as a work room at a cost of no more than £95. Following the withdrawal of government funding for the charity, admissions to the charity's London Hospital steadily decreased and the branch Hospitals were gradually closed. The Chester Hospital ceased operation in July 1769 and the remaining children in residence were transferred to Ackworth. London Metropolitan Archives, 40 Northampton Road, London EC1R OHB. Holdings of Foundling Hospital records include General Registers, Petitions, Baptism Registers, Inspection Books, Nursery Books and Apprenticeship Registers. The LMA have also produced a guide to tracing an individual foundling. Due to the Data Protection Act, registers containing personal information about named individuals remain closed for 110 years. Former pupils of the Foundling Hospital and their relatives can request information from closed records by contacting the Adoption and Permanent Families Service at Coram. The Adoption Services at Coram Family also provide a counselling service for anyone who wishes to talk about any aspect of the Foundling Hospitals history that may have affected their lives. Westerham Founding Hospital 1760-1769 by Alethea Mitchell.